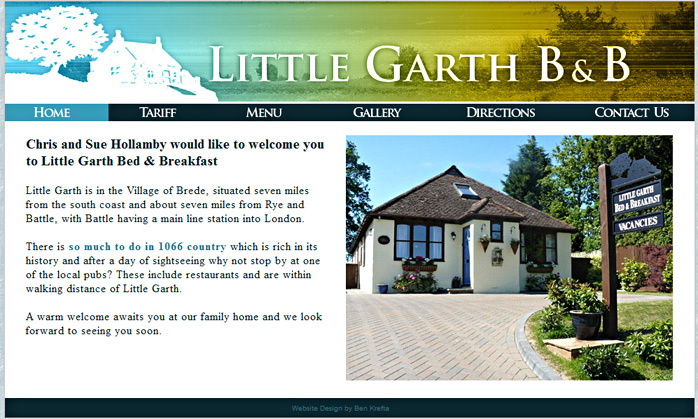 6-8 page site for a Bed & Breakfast in East Sussex. The client wanted a neat, little brochure type site and asked I take care of their domain registration and web hosting. Check out Little Garth here. Provided basic technical support, updates & amendments.